The presence Wilson writes for his characters fills the room, especially the women. He does not shortstop when it comes to Aunt Ester. The stage directions read, “Her presence has an immediate calming effect on Citizen.” It’s not just on Citizen she has this effect, it is most everyone that enters. This house is referenced numerous times as a sanctuary and a peaceful place. I did not plan on attending church on a Tuesday night, but that is exactly what I did. Upon the deliverance of every utterance of Aunt Ester’s words through the sanctified mouth of THE Greta Oglesby, I felt like I was in service just a few days too early for Easter Sunday. I can not tell you how many times I ( and the people around me) said an Umph, nodded my head, or waved a hand. I was a willing participant in the call and response. If Aunt Ester is Mahalia’s Walk with Me, then Aunt Ester’s protege Black Mary is Bessie Griffin’s Ole Ship of Zion. Black Mary (played exquisitely by Tiffany L. Addison) might not have as many years as Aunt Ester, but she’s got experience ; rumor says she had 17 husbands. When Citizen gives that age-old woman needs a man speech. Black Mary lets him have it without breaking a sweat. Men have been taking and using for as long as she could remember .It’s not a tongue lashing, it’s simply the gospel truth. This world was built and is sustained on the backs of strong women. The women of Gem supply not only strength, but sanctuary. By the end of the night, we all had traveled to the City of Bones and our souls were washed white as snow. This post is part of the series #AugustWilsonCHI where I chronicle The August Wilson Celebration as a part of the August Wilson Dream Team with a focus on the women in Wilson’s work. There are only a few more performances left before the celebration is over. There are events all over the city! You do not want to miss out on being on this side of American history! I am so full right now! I’ve attended Opening Night for Two Trains Running, A Concert Reading of Ma Rainey’s Black Bottom and a panel discussion of Women in August Wilson Panel. 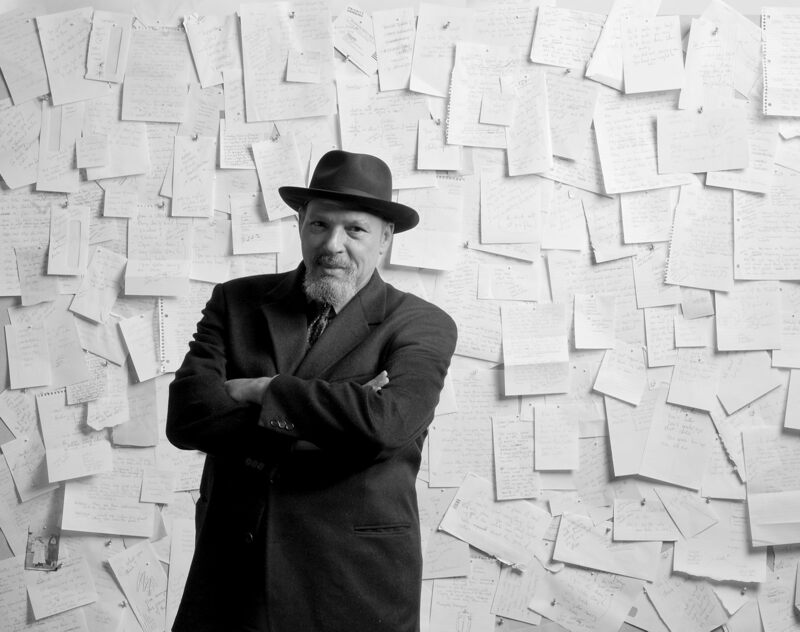 All of these are a part of the Goodman Theatre’s Celebration of the legendary playwright August Wilson. Sometimes I’ve had a bit of trouble listening, I can be a little too zealous with talking. Busy trying to prove something instead of trying to learn something. When I arrived at the Women in August Wilson panel, I made up in mind that my only job was to listen and I am so glad I did. There was a gracious panel of women with various Wilson experience. Seret Scott, Roslyn Ruff, TaRon Patton,Regina Taylor, video panelist Phylicia Rashad and first lady Constanza Romero.There was so much greatness in that room that I’m surprised it did not explode. It was an honor to simply have a seat at the table and boy was I fed. The women spoke of the challenges, surprises and gifts from working with the text. Over and over the response was the words. Everything needed was written in the words. Roslyn Ruff (winner of both the Obie Award and Lucille Lortel Award in 2007 and 2013 respectively) spoke of the catharsis she experienced while performing in The Piano Lesson after experiencing a major loss in her life. She was able to live in that final scene and say thank you to her mom, uncle and aunt who had all passed in the past 9 months. Does anyone know of a woman (or women) who has completed the American Century Cycle in professional theatre or come close? Please comment below! For 48 pages, we wait for her entrance. She is not in the room, but oh is she in that room. Her reputation precedes her and when Ma Rainey ( played like a tornado by TaRon Patton) finally does walk on that stage, you better move outta the way! Ma Rainey is very much a boss, but her gender might lead others to call her that other b**** word. Unlike some of the other women in Wilson’s canon, Ma does not need to ask a man “how much woman” she is or how much she’s worth. She knows it all too well. As an artist, I’ve undersold myself many times. I’ve questioned if I’m really worth what I’m charging. I believe I’m talented, but am I talented enough to demand that price. Will they laugh at me thinking I’m charging too much? Then, after setting a price, I feel timid about asking for a payment that’s due to me when it hasn’t arrived on time. What will they think of me? Am I being too demanding? Should I just wait another month to see if they’ll remember to pay me what they said they would pay me for the services already provided? Typing this now, it seems a bit crazy. Why would I be afraid of asking for something that I’m already owed. I’ve accepted “exposure” as a form of payment knowing mamn well that exposure won’t keep their lights on nor mine. Don’t even get me started on how men are demanding and receiving more for their services and asking for it without blinking an eye. Acknowledging and accepting my worth and value is still a skill that I’m working to perfect, but I have stopped apologizing. My voice, talents and time are valuable and so are yours! The next time someone tries to get something for nothing just think WWMD? What Would Ma Do? She would get what’s due! Have you ever sold yourself short and charged less than you were worth? How’d you finally stand up for yourself and get what you deserve? 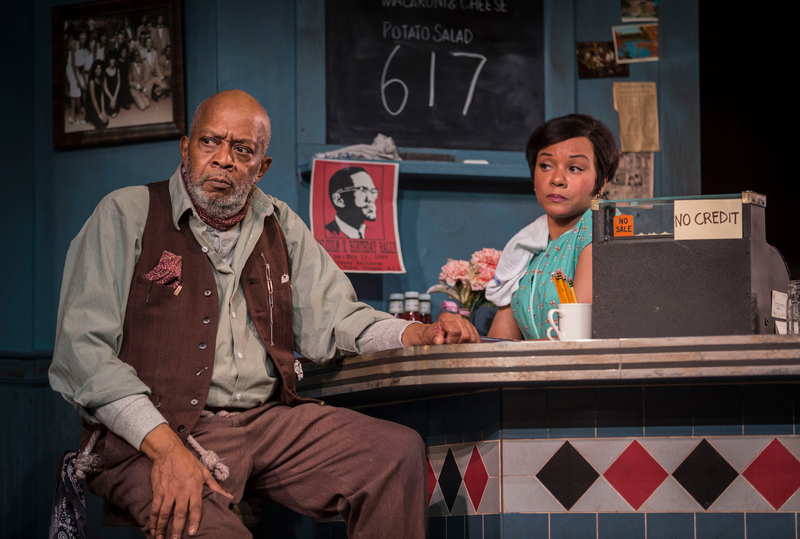 This post is part of the series # AugustWilsonCHI where I chronicle The August Wilson Celebration as a part of the August Wilson Dream Team. TCC, little AAA and I at the Ma Rainey concert reading! Leavealilroomforgrace is a blog about my quest to navigate my marriage, motherhood, and career with grace. By a stroke of Grace, I was selected to be one of the four bloggers for the August Wilson Celebration at the Goodman Theatre. I am so elated to chronicle this journey with you as I travel through the decades of the Black experience by way of August’s ten-play cycle. We will provide personal reflections on the women of August Wilson. Often times women are relegated to being the backbone of society. They are banished to the background to bear the weight of the burden. This holds true in August Wilson’s 1960’s based play, Two Trains Running. Nambi E. Kelley’s Risa is the very spine of the piece. Though her demeanor is stiff and protective at times, her movement is lucid. Her gait deserves its own soundtrack. Risa is no-nonsense and she literally takes matters into her own hands to make it clear that she is no one’s sexual object. She is tough enough to withstand the lewd passes, barked orders, and frequent demands of the men she’s surrounded by daily and yet compassionate enough to handle the less fortunate with white glove service. Many knock at the door to gain entry into Risa’s heart, but only one man succeeds…Hambone( the incomparable Ernest Perry, Jr.) The relationship between Hambone and Risa is the real love story. Hambone may be mentally handicapped, but he has more sense than most. Risa handles Hambone with humility and grace. The very man who does not objectify her is the one who truly has her heart. Though there is the more “traditional” love line between Sterling ( played suavely by Chester Gregory), it is clear that Risa’s true love is Hambone. The thing about the backbone is that it’s complicated. It has so many components that contribute to the strength and flexibility of the body. It is vital for the whole unit. Well, sounds a bit like a woman to me, at least this woman.